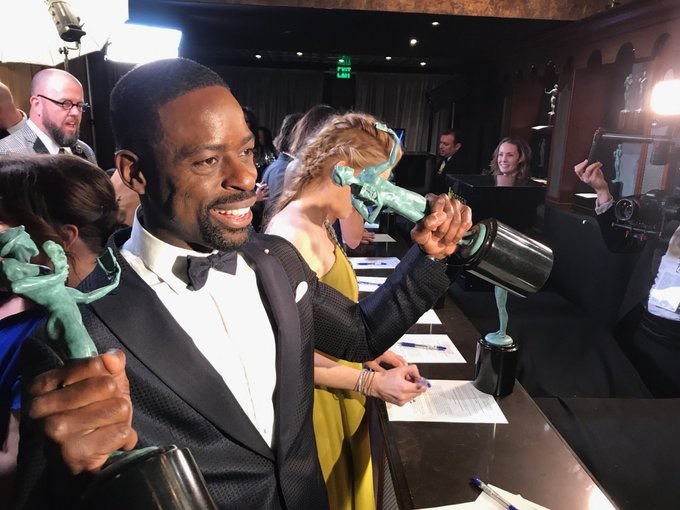 This Is Us star Sterling K. Brown beat out Ozark‘s Jason Bateman, Stranger Things’ David Harbour, Game of Thrones’ Peter Dinklage and Better Call Saul’s Bob Odenkirk for Best Actor in a Drama Series at the 2018 Screen Actors Guild Awards. 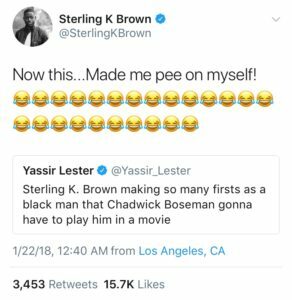 This win was historical, as Brown is the first African American actor to ever receive this award. This isn’t the first historic win for Brown. Just weeks ago, Brown became the first black man to win a Golden Globe for a television drama series. In September 2017, he became the first black actor to win an Emmy for Outstanding Lead Actor in a Drama Series since 1998. Brown’s role of Randall Pearson in This Is Us has certainly earned the actor great recognition and acclaim, along with his cast mates. Shortly after Brown’s SAG win, the NBC drama also won for Best Ensemble in a Drama Series.